“we are the gateway to the eloquence of the respected Urdu verses. The world learns from us we are such residents of Delhi“. Shahjahanabad survived after many vicissitudes of time especially in eighteen century when it was invaded by Persian & Afghans. The 1857 mutiny was the final blow on the cultural capital of Hindustan. The partition of India and later on urban expansion also made major ethic & cultural changes in the city of Old Delhi. The noted & historian Swapna Liddle wrote in Chandni Chowk, the Mughal City of Delhi in a context of the vibrant culture present in the narrow bylanes of Shahjahanabad. “More recently, the attractions of Shahjahanabad has been recognized, the history that still lives in its narrow streets, and the way of life that is represented by its courtyard homes (Liddle, 2016)”. 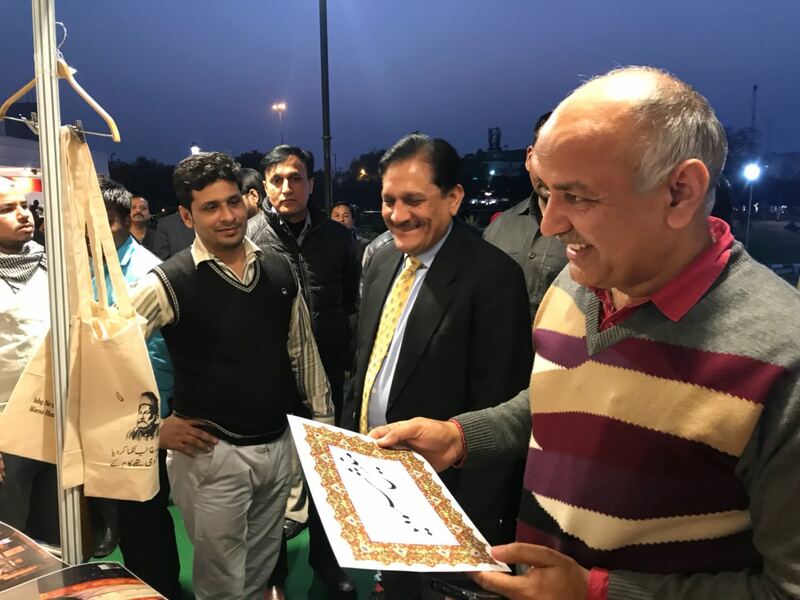 “Purni Dilli Walo Ki Baatein” is a Non-Government organization that includes a wide range of activities on the vibrant culture of Shahjahanabad. It brings out the living culture from the narrow bylanes with the help of its walks, blog writing, videos & social media post. A blog unique in its kind that covers the history, culture, art, traditions & cuisine specifically of Shahjahanabad. It was started by Abu Sufiyan on 07th June 2013 as the Facebook page to document the vanishing dialect of the Old Delhi. He was born on 08 January 1991, the youngest one among the five children of Mr. Mukhtar Ahmad and Mrs. Farhat Jahan. His great-grandfather Ibrahim Sahab, a Mughal/Turk was resident of Kashmiri Gate, Shahjahanabad in the late nineteenth century. Mughlani Begum, the great-grandmother of Abu Sufiyan also belonged to old Turk/Mughal family whose ancestors from Central Asia made Shahjahanabad their home centuries ago when the city was built by great Mughal. The elder siblings still had memories of Mughlani dadi who passed away in year 1985 at age of ninty. The grandfather Nazar Mohammad shifted from the ancestral haveli near Kashmiri Gate to the Suiwalan during 1947. During partition, the area around Kashmiri gate faced more heat & violence in the backdrop of riots at Delhi. Abu Sufiyan told that his grandfather got a spacious twenty rooms haveli in fifty-eight Rupees during those days. Mr. Mukhtar Ahmad completed his graduation from Anglo Arabic College (Historic Madarsa Ghaziuddin Haider) in 1975 & then completed his diploma engineering in electronics from Karnal University. After teaching for some time at an electronic Institute to the retired army officers, he switched to the business in 1980. Presently he owns & manages two electronics shop at Tiraha Bairam Khan, Old Delhi. The mother, Farhat Jahan, a graduate in arts is a social worker from her background. His maternal great-grandfather & great-grandmother has roots from Agra. They worked as maintenance officers of Red Fort at Delhi during British days. Brought up in a family having a long association with Shahjahanabad, he developed an escapism from the messy environment of the walled city during his senior secondary days. In 2011, he got an admission in Btech at Punjab Technical University. It was during the third year of his undergraduate engineering programme, he started to miss the essence of Shahjahanabad. Far away from home at boarding, he used to record the calls of his mother who spoke the Urdu dialect that is known as “Begmati Zaban/Langauge“. From here the idea crept in to share the fading dialect on the facebook. On 07th June 2013, the Facebook page of “Purni Dilli Walo ki Baatein” was created. Initially, Abu Sufiyan started to share the post with a character “Tumhari Baji”. Within the few months, the post got the substantial engagement as likings & feedback. By 2014, two more characters appeared as “Khala Khabti” & “Phupoo“. Sadia Sayed started to play the role of “Winky Phuppo”. She brings out the role of “Phuppo/ Father’s Sister” in the typical dialect of Old Delhi. Recently, a newspaper article cited the number of the followers were fifty-nine thousand for “Winky Phuppo”. By the time, it also appeared as a tool to depict the social issues of walled city integrated with humor. From the lanes of Shahjahanabad, the vanishing traditions & dialect spread out to the external world through the help of social media. 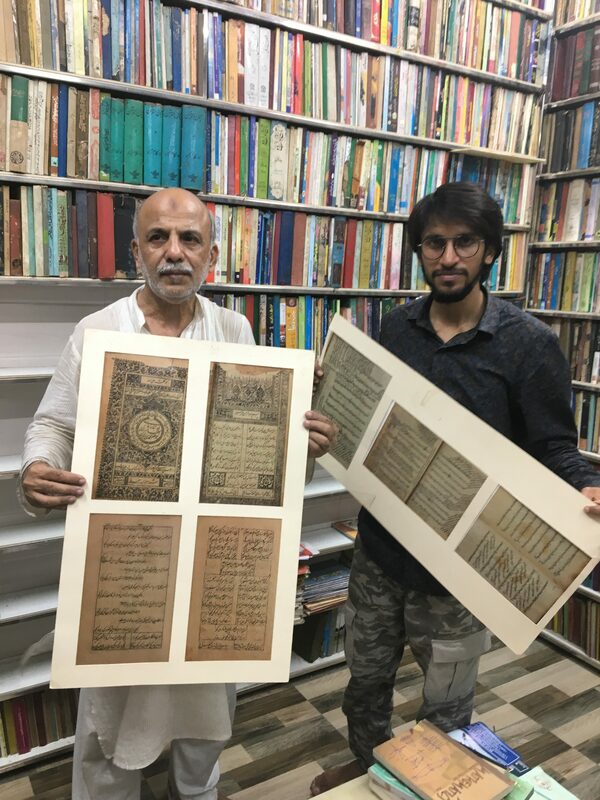 At the same time, he got engaged with Shah Waliullah library that was started by the efforts of Mohammad Naeem, Mirza Sikander Changezi & team members in the nineties. The journey from a simple Facebook page now broaden its horizons to the blog writing, social work, heritage walks, talking on food & culture. Hindustani Dawakhana, a dispensary established under the patronage of great Unani Physician, Hakim Ajmal Khan. In collaboration with “Marham“, an organization of Irtiza Qureshi, & Delhi Youth welfare association, he engaged with the social issues of the local community such as raising awareness for girl education, providing books to the needy & many other tasks. In February 2017 with the group of friends, the first historical walk was conducted at Feroz Shah Kotla. For more than a year, the team of Purani Dilli Walo ki Baatein is conducting heritage walk. Radio Jockey & Urdu Poet Anas Faizi, lead the literary walks, especially at Ghalib Ki Haveli. 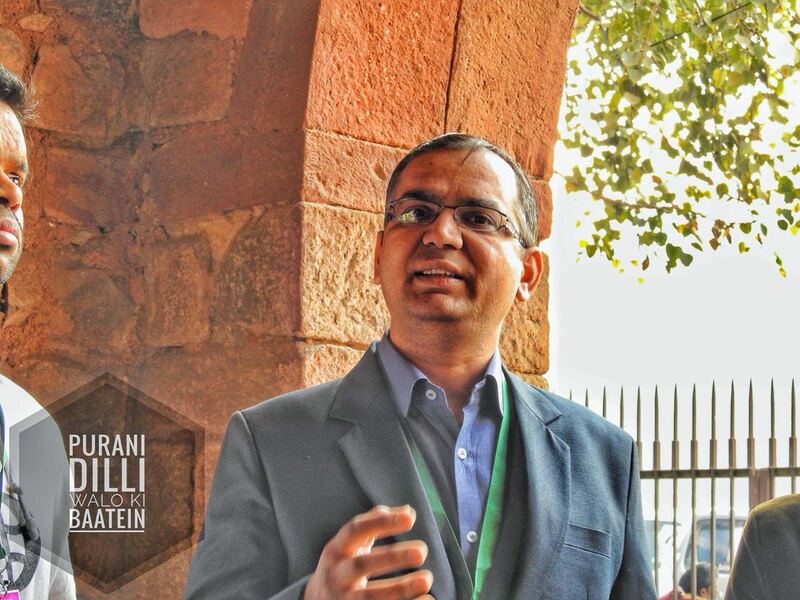 Farhan Baig, a history enthusiast & teacher at Government School lead the historical walks. 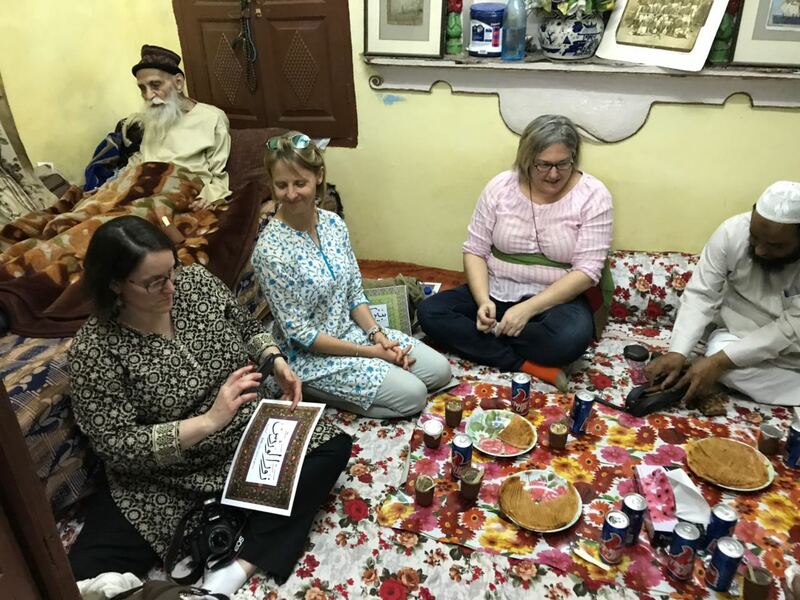 Abu Sufiyan himself lead the walks for foreigners at Shahjahanabad. 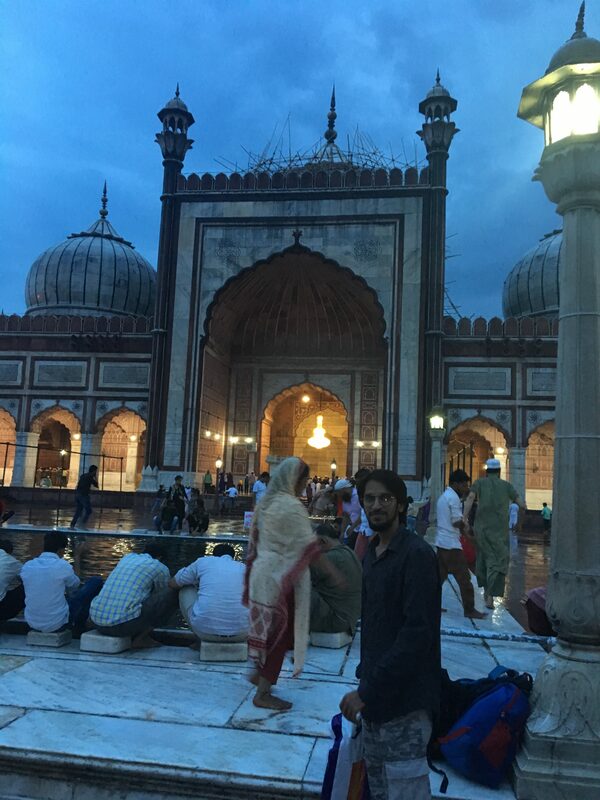 The walks of “Purani Dilli walo ki Baatien” usually started with Jama Masjid & then moving to the lesser known monuments, glimpses of vibrant culture, tradition such as Kabutar Bazi, arts like Naqqashi & Calligraphy. Dr. Sagheer Akhtar, an Urdu doctorate rendered his support by providing guidance for activities & research needed by the PDWKB team members. Walk members having traditional breakfast of Bakarkhani & Kheer at haveli of Late Mirza Naseem Ahmad Changezi. One of the members looking for the calligraphy of Mr. Shamim Ahmad. Mirza Naseem Changezi, a freedom fighter & oldest resident of resting on a bed who died recently at age of 106. In between Shah Waliullah library & Late Mirza Naseem Changezi Sahab, archival collections were also shown to the participants at Pahari Imli. The most unique aspect of their walks is “Dastarkhwan” bringing the food specifically from the cuisine of Shahjahanabad such as Lal roti/Bakarkhani with Kheer served at the endpoint. Recently in 2018, Purnai Dilli Walo ki Baatien started creating & managing cultural events. 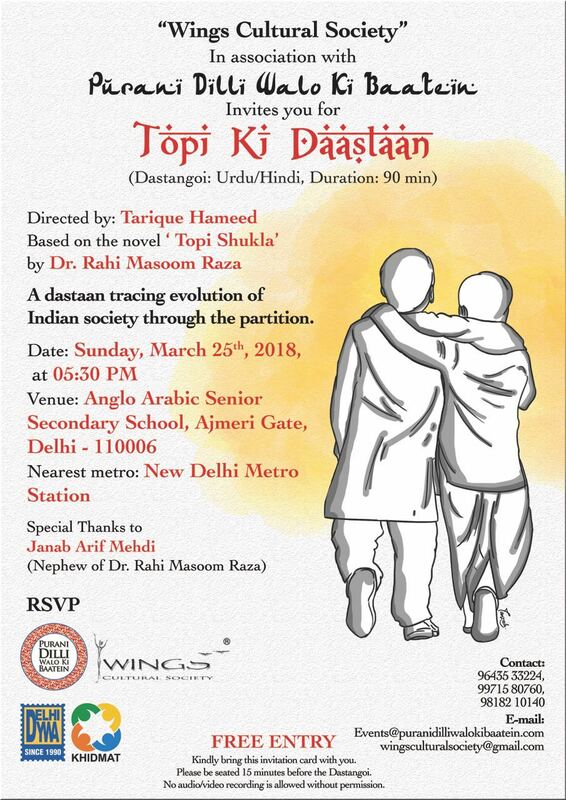 The first one was “Topi Ki Daastan”, a play based on Rahi Masoom Raza novel “Topi Shukla” was conducted at Anglo Arabic College on 25th March 2018. The ninety minute’s play was directed by Tarique Hameed. They also provided online partnership to Delhi Gharana for the event “Ghalib Begum Umrao ki Nazar Se”& “ٌRudad e Shireen”, a composition of Hazrat Amir Khusro. 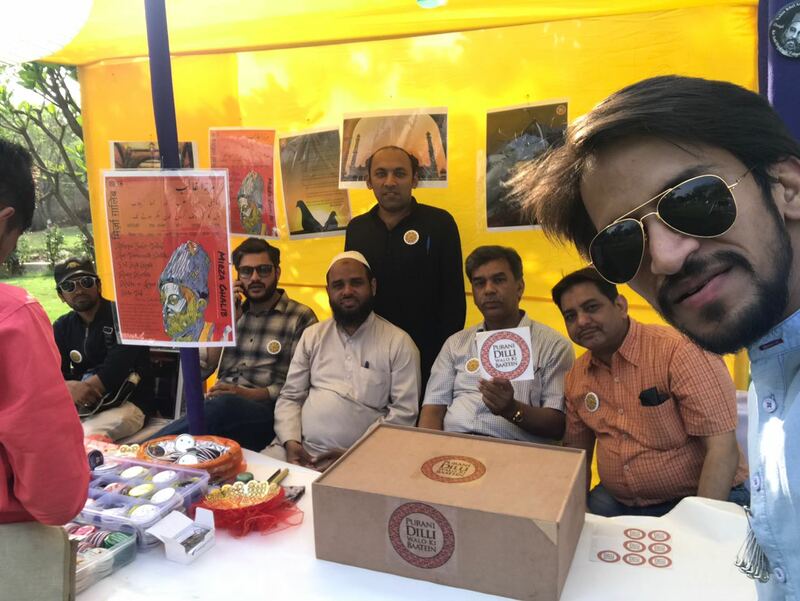 A stall was arranged by the team of “Purani Dilli Walon Ki Baatien” at five days Urdu Heritage Festival organized by Delhi Government at Central Park, Connaught Place. Its main objective was to bring the culture of Purani Dill with the help of archival pictures, calligraphy, books, dairies, badges & bags. It was a sort of awareness campaign. Till now more than twelve thousand posts have been shared by the Purani Dilli Walo ki Baatein in the form of the article, videos, & pictures articulating on the microhistory & the culture of vibrant Shahjahanabad. Abu Sufyan also offers help to the media groups such as HT & Indian express for collecting information & raw data for the videos on the monuments, culture, food & bygone days tradition. Now Abu Sufiyan & his team members are looking forward to finding the ways for digitalizing the history of Shahjahanabad. Hopefully, when commence, it will be one of the grand projects in a direction to preserve the history & the culture of Old Delhi. The journey of a young technocrat is an example of teamwork, & engaging local community members to preserve the living history of the walled city. With his hectic working schedule at Google as an IT expert, he dedicated all his spare time to preserving & promoting the culture of Shahjahanabad. As a friend & history enthusiast, I wish all the best for his endeavor in the direction of preserving the rich heritage of the Mughal city. This is how a voice notes of a mother appeared as a stimulus for a twenty-two-year-old engineering hostel student to walk on the mission for preserving the heritage of “Shahjahanabad”. Acknowledgments: Many thanks to Abu Sufiyan to provide me chance to write & for the valuable inputs. Swapna Liddle (2017), Chandni Chowk, the Mughal City of Old Delhi, Speaking Tiger Publishing private limited.